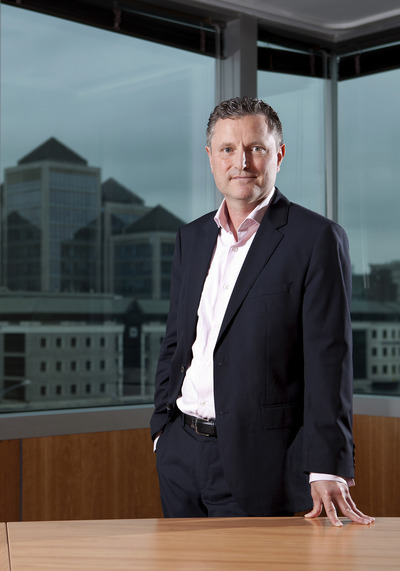 David Stafford was appointed Director and Chief Executive Officer of ALD Re Limited in February 2012, a subsidiary of ALD Automotive, the provider of vehicle fleet leasing and fleet management solutions, ultimately owned by Societe Generale. He is responsible for implementing Board strategy and managing day-to-day operations. ALD Re provides reinsurance protection for third party motor liability across 23 countries and Stafford says one of the challenges is dealing with cultural differences with his remit spreading from Portugal in the west to Russia in the east. 6.30am: The alarm goes off and I start my day. I always try to make time for a healthy breakfast and catch up on the business news on TV before heading out. I used to be a committed driver to work but am increasingly using public transport as I find it’s less stressful in the morning and I live on a good public transport route. However, today my 17 year old daughter is going to Portugal to spend time with some friends and needs a lift to the airport! 8.30am: Our offices are in the IFSC and I’m normally at my desk by 8.30 where the first 30 minutes are spent having a coffee and an informal chat with whomever of the team is in. Our office manager and my PA Jenny has been in since 7.30 and she will update me on my meetings for the day and we also go through my diary and travel plans for the week. It’s August therefore quiet in our European markets and travel really won’t kick in again until early September. We have our Audit and Risk Committee meetings later in the week which involves a couple of Directors coming in from France and will mean a dinner on Wednesday evening. Jenny suggests a couple of options and I select a venue - a restaurant I haven’t tried before but which sounds interesting. 9.00am: Check the email inbox and respond accordingly. Most can be dealt with quite quickly or can wait until later in the day however one relates to a meeting in Madrid last week so a quick call to our Spanish GM is required to clarify. 9.30am: I drop by the office of our Chief Financial Officer Geraldine Smyth for an informal chat. It is the middle of budget season and I want to check if our presentation to head office in Paris has been scheduled. We feel we have a good news story to tell however we will have a fixed time slot so we need to ensure our messages are clear and concise. 10.00am: A conference call with our Italian office to discuss and plan for a forthcoming meeting in Rome. We reinsure 23 country programmes from Portugal in the west to Russia in the east and a key part of the role is to keep in touch with all of the subsidiaries. This can be challenging from a number of perspectives including dealing with all of the cultural differences. Our Italian programme is our largest and we have quarterly on-site meetings to discuss the status of the programme. These rotate between Dublin, Milan, Rome and Paris with the next one scheduled for Rome in mid-September. We review the agenda, and programme performance issues but also agree on some additional presentations that can be given by the local marketing and business development team to avail of the opportunity of the meeting being in the affiliate head office. 11.15 am: A call with Mike Masterson, ALD International CEO in Paris. I am on the operational committee, or CODIR, which meets quarterly in Paris and he wants me to present on current activities within the insurance programmes. We quickly go through the presentation and agree what are the key messages. The key challenge in presenting to a CODIR mainly comprising of individuals from the automotive industry is to ensure the presentation is not overly technical and avoids the use of insurance acronyms. Once the presentation is reviewed we move on to the important topic of the draw for the European Rugby cup. Mike’s a big Northampton fan and given I’m a Leinster fan there’s a lot of (friendly) rivalry. The call is also a reminder that the timing of the meeting has changed which will mean an overnight in Paris and I quickly advise Jenny that my flight and hotel arrangements need to be updated. 12.15pm: A quick review of email traffic before lunch - no different than most, it’s the usual challenge of sorting the key important ones from those that I have been copied on purely for information purposes. 1.15pm: French homework! As part of a French group I consider it important that we can converse in French even if the business language is English. With my very rusty leaving cert French I am in the relative beginners group - homework from the last class is still outstanding and needs to be completed before lessons start - old school habits die hard. 1.45pm: French lessons commence. There are three in my group and given the time of year the topic is holidays. Plenty to talk about if only my vocabulary was up to the challenge. I find that my understanding in listening to conversations is definitely improving however I still lack confidence in my speaking ability. 3.00pm: A quick call to my daughter to see if she arrived and was picked up at the airport. It goes straight to voicemail - nothing unusual there. I get a text 10 minutes later: “I’m here - all fine”. 3.05pm: My weekly meeting with our Chief Underwriting Officer Deirdre Keary. We quickly review all of the countries in the programme and the current issues arising. Deirdre is just back from Zagreb and a visit to our Croatia office and gives me an update on the meeting with the local General Manager and the various action points agreed. We discuss the proposed travel schedule for September. Renewal discussions with our fronting partners for 2015 have started and will require meetings in Paris and London and we also want to schedule meetings in Finland and Czech Republic before the end of September. After a relatively quiet August on the travel front the diary is already filling up rapidly. 4.15pm: I meet Sarah Goddard CEO of DIMA for a coffee in the CHQ building. I am a Director of DIMA and for the past number of years have been Chairman of our annual conference the European Insurance Forum. Our 2014 conference has finished and has been a great success but we are already into the planning stages for next year. Sarah and I briefly discuss ideas around the venue but in particular we agree that the dates for the conference will be May 14th/15th 2015 to ensure that delegates from Dublin and overseas have the date firmly fixed in their 2015 diaries. 5.00pm: A quick meeting with our Chief Risk Officer Philip King. We have our Risk Committee meeting this week and Philip wants to review the agenda and identify the potential areas of focus for our Independent Directors who sit on the Committee. We agree that given the current political situation they are likely to focus on Russia and the potential impact of the political stand-off between the EU and Russia. 5.30pm: On my way back to my office I bump into Ian Duffy, Managing Director of Societe Generale Securities Services. SGSS are proposing to launch a new fund platform and Ian had approached me to see if I would act as a Non-Executive Director. We briefly chat about the project and agree to set up a meeting later in the week. 5.45pm: Chance to catch up on the mails of the afternoon and also work on the CODIR presentation for next week. 7.00pm: It’s a relatively balmy August evening and the opportunity for a few holes of golf or that much threatened 5km run beckons. However plans are rudely interrupted by a call from my 16 year son - he has been camping with friends down in Leitrim but bad weather has forced them home early and he wants to know if I can collect himself and two friends from the train station. Planning your work day is a lot easier than planning your non-work activities when you have two teenagers on summer holidays!